Our company handles gate services with excellence the same way we expertly handle garage doors. Garage Door Repair San Diego is a leading company that delivers all types of garage door services and as we continue to grow through the years, we expand our business in handling all kinds of gates as well. All our technicians undergo continuous training to become the experts they are now. Our goal is to give a hundred percent satisfaction to all our clients, and by doing this, we retain the top slot in comparison to our competitors. We are committed to see that our customers are our main priority at all times and because of our success in giving our best, we continue to gain the loyalty of everyone when they require garage door and gate repair. Our team is the most trusted in San Diego because of our efficiency and reliability. All of us are very prompt and stick to our schedule. We always arrive with the right tools and equipment and that help us to do all our tasks quickly and meticulously. For many years, we continuously update all our tools and invest in the latest models so we can cope with innovations in gate and other products related to it. When we install new gates, our technicians inspect the area and calculate precise measurements so that the new gates will fit perfectly. 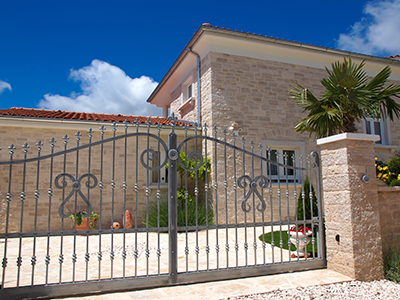 If customers need ideas in choosing the gate that will suit their needs, our professional contractors are able to recommend the most trusted brands that have amazing security features. If you are having problems with your intercom, our technicians are able to provide the right solutions. We inspect the entire system so we can easily detect the cause of the problem. We have full knowledge on different kinds and brands of gate intercoms and replacement parts are available with us all the time. Electric motors may malfunction especially if used frequently. Our technicians are very experienced in handling different kinds of motors and we carefully inspect the wiring and parts to ensure that everything is in good condition and if required, the motor can be replaced as well since we have compatible motors for all types of gates. Garage Door Repair San Diego will never let you down in any way and that is a promise we give to everyone. There is no reason to doubt us because our reputation says it all. We are just a phone call away so grab that handset and dial our number. We are always happy to serve you!